Earlier this week BlackBerry announced that it was seeking a buyer or strategic partner as a way forward and out of its multi-year decline. The path from high flying tech leader to “for sale sign” is a sad one and one that is pretty complex to explain. As with most decline stories there are internal and external factors to blame. I admit I debated writing this post using BlackBerry as an example, but it’s just to specific to my points to ignore. I will at least try to make this post different from all of the other “BlackBerry’s demise” posts I’ve read over the past few days…I’m not piling on so to speak. So how does a company go from dominate industry smartphone leader, with a stock price of $236 a share and #2 worldwide / #1 US in marketshare (remember Nokia was still the dominate phone manufacturer in 2007 outside the US) in August 2007 to just over $10 per share and #3 worldwide market share (which doesn’t sound bad until you see that Android has 52%, Apple 40% and BlackBerry 4.4% share)? Actually I suppose I could have used Microsoft as another example of steep decline since it is now #4 worldwide with only 3.1% share when it had 21% of the US market back in 2007. Oh well, let’s focus on BlackBerry. There are several angles I could take here, but I’m particularly interested in understanding BlackBerry’s focus on the customer and its ability to continue to innovate in a market that it dominated mostly through innovation. In any analysis of BlackBerry’s rapid demise the seminal event seems to be the introduction of the iPhone with it’s touch interface, applications and excellent web browsing experience. In the simplest terms BlackBerry did not respond to the threat of the new Apple product, end of story. From the outside looking in BlackBerry’s failure to respond effectively to the iPhone, iOS and Android is an obvious failure but the “why” of that and the overall decline are a lot more complicated than that. You have to start this investigation of causality by looking at BlackBerry’s history and at what made them a dominate market leader in the first place as well as the factors that enabled a device like the iPhone to erode BlackBerry’s hold on the enterprise. BlackBerry is an enterprise mobile device manufacturer as well as an enterprise software company, this has not changed from the first device to today, it was never focused on consumer devices even though it made some efforts to reach consumers over the years. BlackBerry’s success came from developing an innovative way to solve a big corporate problem, how to connect a mobile workforce in a secure environment. 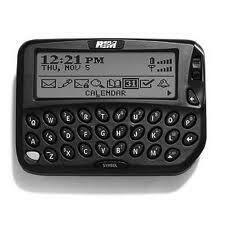 The original device, a 2-way email pager running on a private data network, first hit the market in 1998. The 2nd device, the 850, which was introduced in 1999 was the first to be coupled with the BlackBerry Enterprise Server (BES) software that enabled push email from Microsoft Exchange Server. In 2000 the first “smartphone” hardware, the 957, was introduced and subsequently device encryption and S/MIME support were added to make the devices more attractive to enterprise and government IT. The combination of the BES, the mobile OS and the hardware with encryption offered a new level of security and functionality that became the standard with enterprise IT and public sector IT. BlackBerry did eventually offer features like camera’s and web browsing that made the devices more attractive to consumers, and garnered some share there, since many people used the devices at work already, and were attracted to the email capabilities, the QWERTY keyboard and the messaging features. So the stage is set. BlackBerry was / is a customer focused company, and the customer was enterprise and Public Sector IT. This focus is, IMO, the reason for the meteoric rise of the company. BlackBerry understood what it target market needed and wanted, and went about providing those solutions. Several external factors though, started to take hold outside the enterprise that eventually had a dramatic impact on corporate IT. In the early 2000’s the trend called consumerization of IT started to gain momentum. Consumizeration, as I’ve written a few times, is really about the source of innovation (shift from enterprise out to consumer, to consumer in to enterprise) and people’s expectations of what / how / when they used technology. In other words people started to expect the same experiences at work that they had in personal technology. In 2007 Apple introduced a new experience in smartphone, one that changed the way people interacted with the devices (touch UI and applications) and the way they used those devices. BlackBerry didn’t miss this event, by the way, the executives simply chose to ignore it, or dismiss it as a consumer shift. Take the introduction of the new smartphone concept out of the consumerization context and you can see that it’s not unreasonable that BlackBerry continued on it’s path. In fact, BlackBerry continued to build features that their customer’s valued, the problem though, was that the target customer lost control of the buying decision. The customer changed through consumerization and BYOD and the consumer device made it’s way rapidly into the enterprise. It redefined the experience that people expected / wanted from mobile devices. BlackBerry continued building what its historical customer wanted, which led it down the wrong path. The executives “knew” what their customers wanted, but they didn’t realize that knowledge had become irrelevant. Being customer focused, or in other words listening and responding to your customers is essential, but you have to make damned sure you have identified the “right” customer. Ask yourself often “who is making the critical buying decision”? We’re in a very fluid business environment as the world’s economy continues to shift from the industrial economy to the networked economy. In this environment you cannot ignore what’s happening around you, the changes can be very dramatic and happen very fast. Only a company with a flexible strategy, a nimble executive team and adaptable IT systems can respond fast enough to prevent lasting damage to your brand and your business. Just because you were wildly successful in the past doesn’t guarantee future success using the same strategy. In other words, don’t believed your own press and don’t become a victim of your success. No matter how innovative you are as a company, if you build the wrong innovations, that is, innovations that no one wants, then it just doesn’t matter. What will happen to BlackBerry, I’m not sure. At one point I would have said that it had a good chance of continuing to be a strong mobile device management (MDM) software provider, if it just broadened it’s software to cover other devices, but now, I’m not so sure. There are a lot of MDM vendors now and frankly, I’m not even convinced that managing devices is the right answer any more. I think we have to get to a point where we manage the applications and basically ignore the devices, which change on the latest new technology wave in very short cycles. BlackBerry had lost too much momentum to ever be a serious contender in the smartphone market IMO, but there’s still value there if it can find the right acquirer. Anyway, let’s take a few very relevant lessons away from the story.